Published by Junkee, 2 October 2013. Original post. 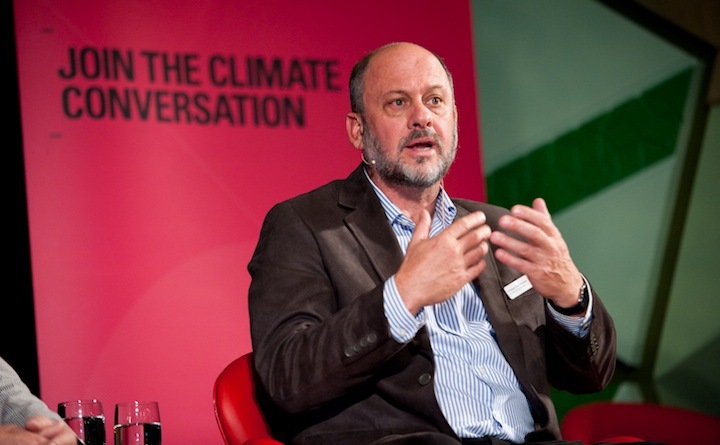 Tim Flannery by Climate Commission (Creative Commons). If you have a Facebook or Twitter account and use them to engage with any vaguely left-leaning Australians, you’ll know all about the Climate Council, the crowdfunded body set up to replace the Australian Government’s Climate Commission, itself recently axed as one of the incoming Abbott government’s first items of business. My own feeds have been lighting up with new stories about the Climate Council—first when Professor Tim Flannery announced its existence last Monday night, and shortly after that with requests for donations. And boy, have those donations been pouring in—this afternoon, the Climate Council will announce that $969,000 has been raised, from over 20,000 donors. This is a crowdfunding success that looks set to easily eclipse Amanda Palmer’s blockbuster $1.2 million album, and it’s for an incredibly important (literally life and death) cause.